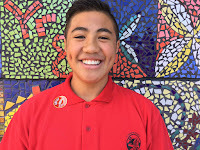 Hi, my name is Christian and I have Joined a program online and it's called Winter learning Journey. We had to pick a Olympics sport and I picked wrestling and this is what a learn and it was Awesome! Similar to traditional wrestling but it ended when one of the athletes admitted defeat and quit. This all happen 2792 years ago at a place called "Greece".Our Olympic Journey starts thousands of years ago in a place called Olympia. Olympia was an ancient city in the country of Greece. The ancient city of Olympia was the site of the first ever Olympic Games. They were held in 776 BC, the ancient Olympic Games came to an end in 393 AD.This is all what I've leaned. Please Comment because your all Awesome. Hi christian I love the way that you did an awesome job at your writing I just want to I love my brother and happy holiday to you christian . :]:]:]:]:]:]. Hi Christian! I completely agree with Giovanni and think that you have done an awesome job with your writing, as well. Ka pai! I am so happy that you have joined our Winter Learning Journey programme this holiday. You've already learned so much and I am sure that you will a lot more as you continue along. There are 20 other activities for you to choose from, including some where you can learn more about wrestling in the modern day Olympics. It is a popular sport and there will be hundreds of wrestlers travelling to Rio de Janeiro next month to compete in the 31st modern day Olympic games. 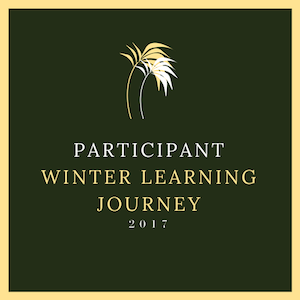 I can't wait to check your site again tomorrow to see if you've had time to log onto the Winter Learning Journey site and post another informative blog. I hope so!